The month of June brings many a thing worth celebrating, including lesser-known ones such as National Donut Day (June 6) and Decide To Be Married Day (June 27). 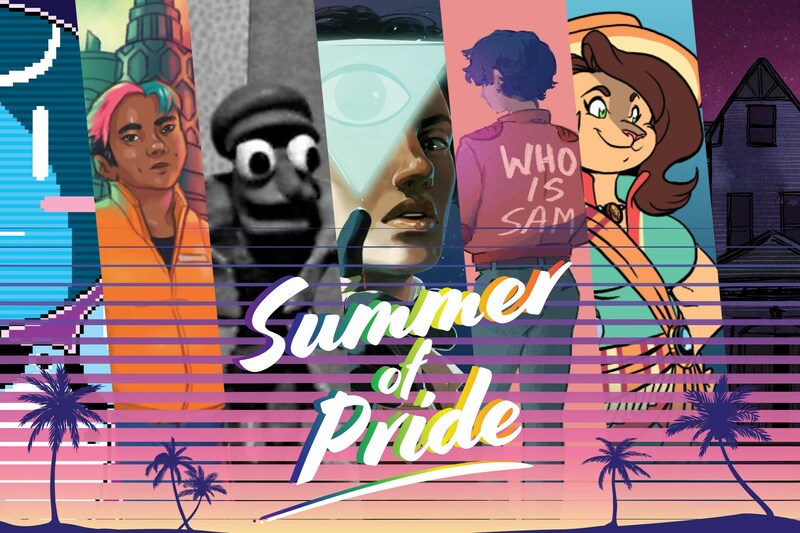 None are as important or well-known as LGBT Pride Month, however, and this year it will coincide with Summer of Pride, a month-long Twitch celebration of LGBTQIA+ video games, developers and streamers… hosted by MidBoss! Groovy stuff. With a lineup featuring Gone Home, Tacoma, 2064: Read Only Memories, Another Lost Phone, Dominique Pamplemousse, Even The Ocean, and more to come, MidBoss’ Twitch channel is going to be busy during those 30 days. Very busy. And fun! As such, I’d highly recommend stopping by for at least some of it, and even more so seeing how the lineup features titles that, in my opinion, could do with far more attention than they have gotten thus far; and a themed Twitch stream is an undeniably solid way to hopefully fix that. As we get closer to the start of Summer of Pride, the complete list of games, streamers, and its schedule will be made available. Until then, well, how about spreading the word by way of social media to help ensure as large a crowd as humanly possible will be watching the stream, come June? Every little (re)tweet and Facebook post helps, ya know.